Kontak have designed these elegant Propolair wooden diffusers for those passionate about style, interior design and natural materials. They come in three different shades: natural, cherry and wengé; and three different models: basic, with ionizer, with ionizer and fan. 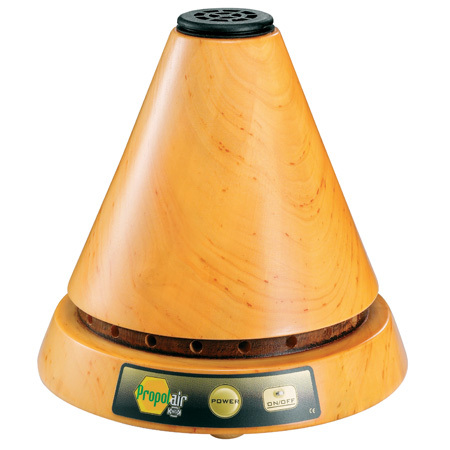 All wooden models release the full benefits propolis into your room, and have the same operating characteristics and effectiveness of our basic diffusers. 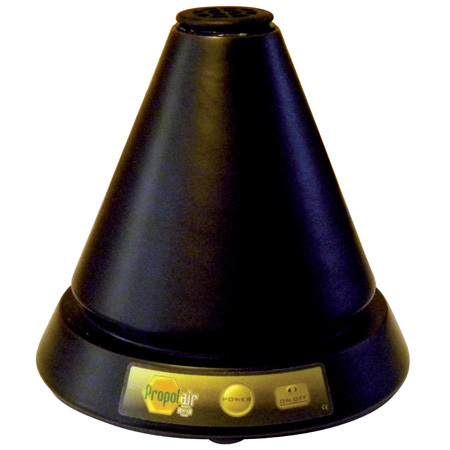 They take the very best organic Italian propolis and slowly release its components gradually and consistently into the air throughout the capsule duration. 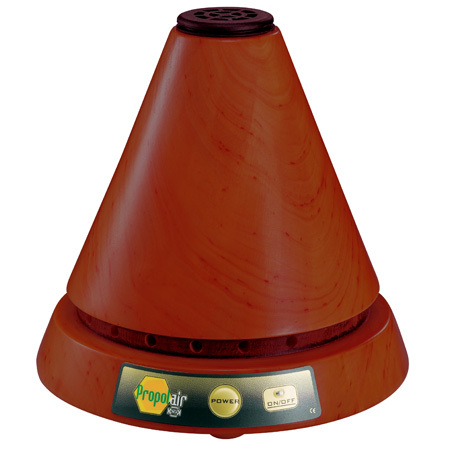 The wooden model L3 is equipped with a fan, which serves to double the performance range of the diffuser, sending the propolis twice the distance around your room - up to an area of 60 m². Light sleeper? We suggest daytime use, as the light noise from the fan may disturb your sleep during the night.